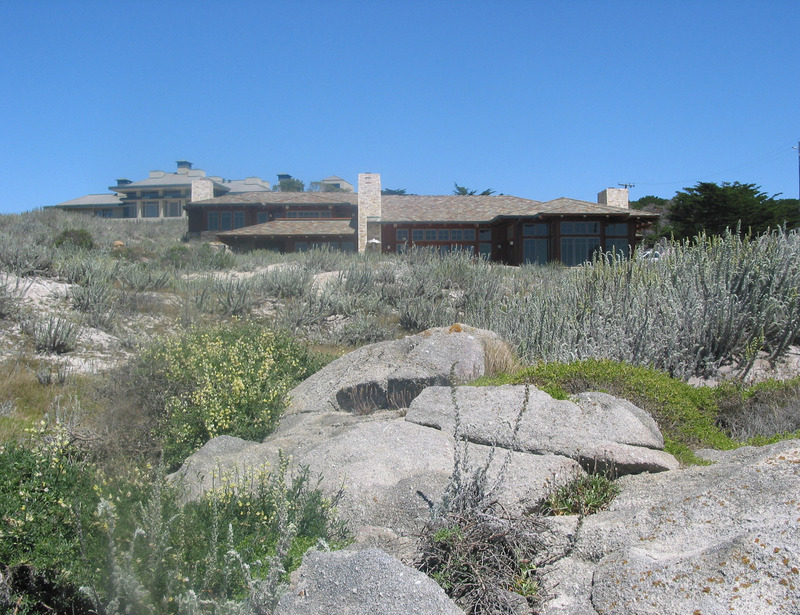 Plants that grow on coastal bluffs experience some compensations to their difficult environment: temperatures are mild year round, with few winter frosts and few hot summer days, resulting in a long growing season. Although summers are usually rainless, coastal buffs are often bathed in dense fogs that dramatically reduce transpiration. By contrast, foothill cliffs get no relief from hot, dry summers, with a rainless period that lasts from late April through late fall. 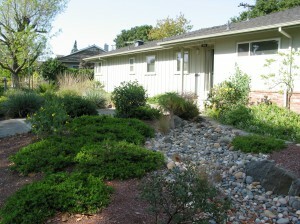 Plants here are well adapted to drought and prefer full sun year round. Their growing season coincides mostly with the winter and spring rains, although a few tough plants continue to bloom as late as fall. Most bluff plants adapt by having extensive roots to anchor them in place and store water, by growing as dense mats or cushions to avoid the brunt of winds and to retain moisture, and by possessing fleshy or hairy leaves that hold extra water and reduce water loss. Each species has its own look, and combinations of these plants – both in blossom and not (many flower from late winter through early summer) – create beautiful tapestries in carefully designed rock gardens. 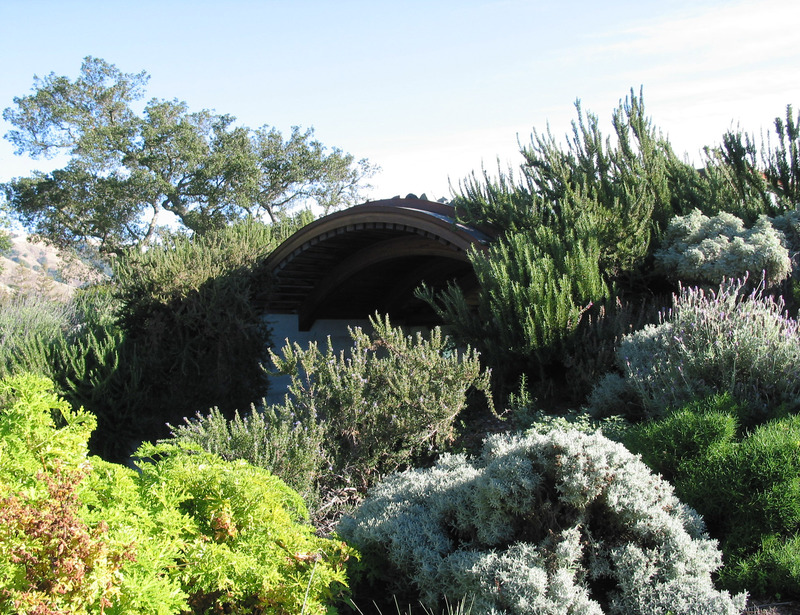 In addition to a wide variety of colorful perennials and bulbs, coastal bluffs are also home to sprawling woody ground covers, some of which grow into taller shrubs inland, away from winds and under the protection of forests. In a rock garden, these woody plants can create a pleasing backdrop for matted herbaceous perennials. 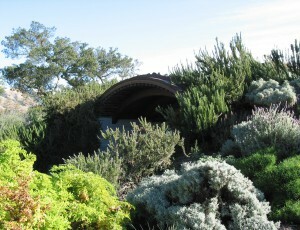 Inland cliffs feature an array of small bulbs, bunchgrasses, cushion-forming perennials, and woody ground covers. They are also home to a range of attractive small ferns, many of which go dormant in summer drought. 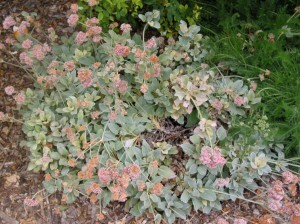 Clumped, branched colonies of rounded, pale to blue-green leaves on stems to eight inches high. 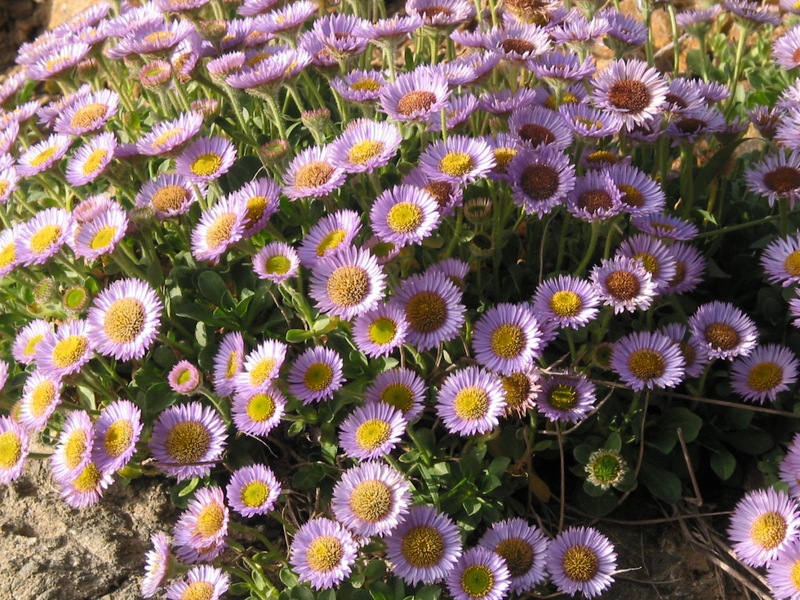 Large, pale purple and yellow daisies in late spring and early summer. Provide high shade and some summer water inland. 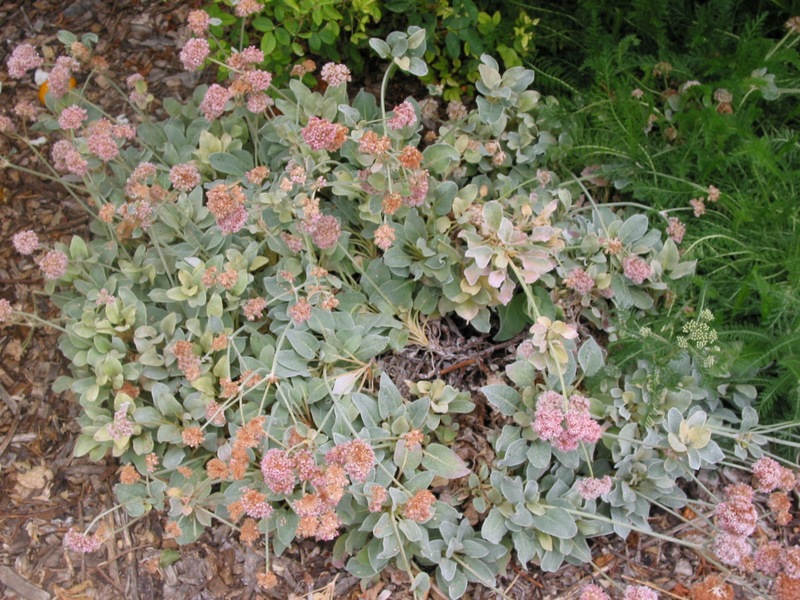 Low sprawling cushions of spoon-shaped, grey-felted leaves on plants to a foot high. Large heads of white to deep pink blossoms in summer on naked stalks above foliage. Mounded woody ground cover to around three feet high with an equal or greater spread; fast growing. Needs periodic shearing to keep it dense and low. Small pale yellow flower heads in fall (plant males only).